Who says inflatable has to mean castles for the kids? 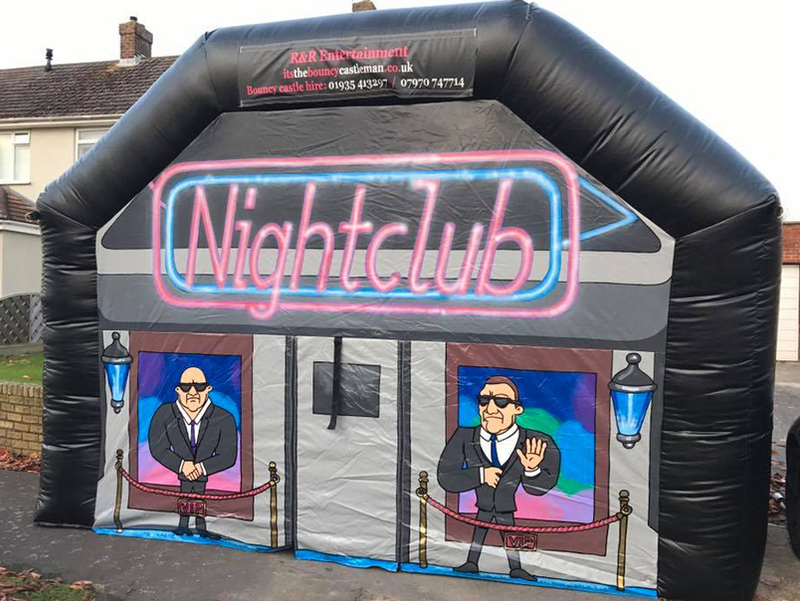 This ultra sophisticated inflatable nightclub comes complete with sharp-suited bouncers in their cool shades and is all in understated black with just a hint of neon pink and blue on the nightclub sign. This is bound to be a hit with older teenagers who are too old for kids? parties and for adults who don?t see why they shouldn?t let their hair down whatever their age. The integral speaker system will play your favourite music via Bluetooth technology and the LED disco light will create that authentic night fever experience. Perfect for a special birthday, especially one of those that ends with a zero. It could also make a brilliant focal point for any hen do or stag party! Or perhaps you are planning a school prom and are looking to make a party with a difference. It's even great for corporate events... everyone will love to dance away the day after a team building session!